Beit Yanai is a moshav on the shore of the Mediterranean Sea about six kilometres north of Netanya. It was founded in 1933 and named after the Hasmonean king Alexander Yanai. Beit Yanai is just south of Beit Yanai Beach. Beit Yanai beach is considered by many to be one of Israel’s very best beaches. It is only 20 minutes from Tel Aviv and only 5 km from Natanya. Beit Yanai Beach is for people who prefer both active and passive rest surfing and kite surfing. On the weekend it is crowded but in the middle of the week you can enjoy quiet and relax. Forty-five km long Alexander Stream, flows from the mountains of Samaria (Shomron) to the Mediterranean Sea just a 15 min walk from the center of the beach. Alexander Stream is also named after Alexander Yanai. The tributaries of Nahal Alexander are Nablus, Te’enim, Ometz, Bahan, and Avihail streams. Most of the river is located in the Hefer Valley. Nahal Alexander is the habitat of soft-shell turtles that can reach a size of 1.20 meters and weigh up to 50 kilograms. On the beach, you can see the remains of the Kfar Vitkin Pier that was built in 1938. it was used for exporting citrus fruits. The Altalena reached Kfar Vitkin in the late afternoon of Sunday, June 20, 1948. Among the Irgun members waiting on the shore was Menachem Begin. After the passengers had disembarked, members of the fishing village of Michmoret helped unload the cargo of military equipment. 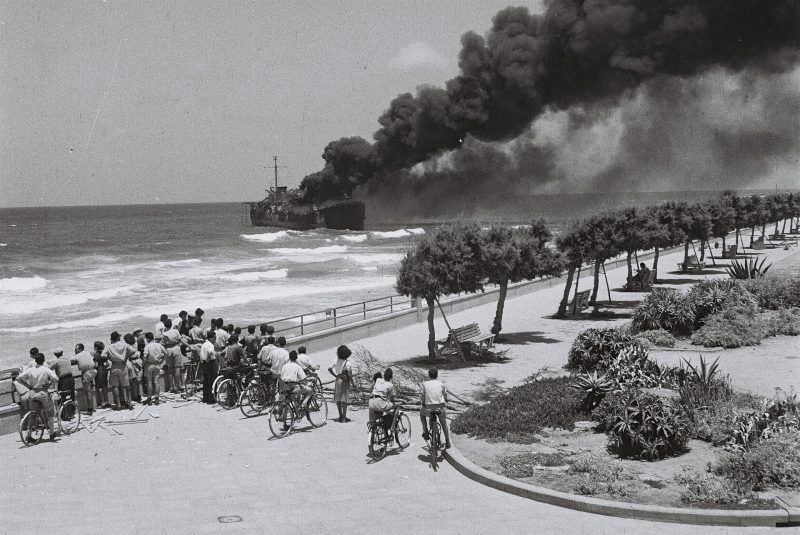 The Altalena then headed for Tel Aviv where the Irgun had more supporters. The Altalena was sunk after arriving in Tel Aviv against the Israeli government’s orders. Beit Yanai “Lake” was formed during the building of the Interchange and was filled with ground water, thus creating a large pond with water plants and birds. A wooden walkway leads the pond. The Israel Nature and Park Authority Bet Yanai Beach Campsite offers: drinking fountains, bonfire areas, picnic tables, mobile phone charging units, restroom, showers, and field kitchens.